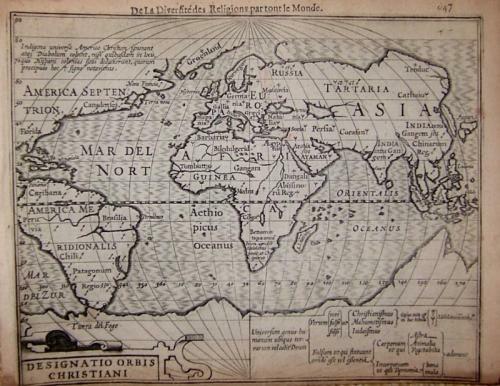 Title: 'Designatio Orbis Christiani' from the 1608 edition of the "Atlas Minor" by Mercator and Hondius. An intricate map of the world. The condition is good althought there are some stains in the margins where the paper has become brittle.